No specific class. Cannabis overlaps with several drug classifications. It can simultaneously have stimulating, depressant and psychedelic effects. Pot, weed, blunt, ganja, green, herb, leaf, marijuana, mary-jane, skunk, kush, 420, grass. Individual drugs: Low-grade marijuana, <1% THC, high-grade marijuana 4-8% THC, hashish 7-14% THC, hash oil, up to 50% THC.  Protease Inhibitors (PIs) and Integrase Inhibitors may potentially increase the amount of THC levels from the cannabis you take.